Last year around four million people headed off overseas over Christmas and the New Year and this year similar numbers will be doing so. Many will be heading back to spend time with their family but many more will be choosing to spend the holidays in a hotel with someone else doing all the cooking and clearing up for a change. However not everyone will make it to the airport on time and this time of year is often problematic with restricted public transport, engineering work often being scheduled and delays and cancellations caused by bad weather and this year we have added to this devilish mix, the threat of potential rail strikes in the south east. Of course missing your flight is a very stressful experience, but what are your rights if this happens? Well firstly, there is no obligation on the airline to give you either another flight or a refund of your ticket price. You will be treated as a “no show”. Secondly you may find it very difficult, not to mention very expensive, to find a replacement flight as this is one of the busiest times of year for overseas travel. This will also mean that you may well lose the money you’ve paid for your accommodation. So there you are – disappointed, out of pocket and stuck in the UK. Very sensibly you will have taken out travel insurance, can you claim on that? If you missed the flight simply due to the fact that you hadn’t checked on the status of public transport connections and so made alternative plans or left more time to get to the airport, the answer will almost certainly be no. However, if you were delayed by something unpredictable, for example an accident on the motorway, then the answer should be yes. Bad weather, be it snow or fog, often throws a spanner in the works in the winter, in the worst cases forcing airports to close. Although UK airports have invested large sums to minimise disruption with snow clearing and de-icing machinery, extreme weather can still force their hand and there is very little they can do about fog. Clearly you as a customer cannot be responsible for the weather either and your rights are much more substantial in this instance. 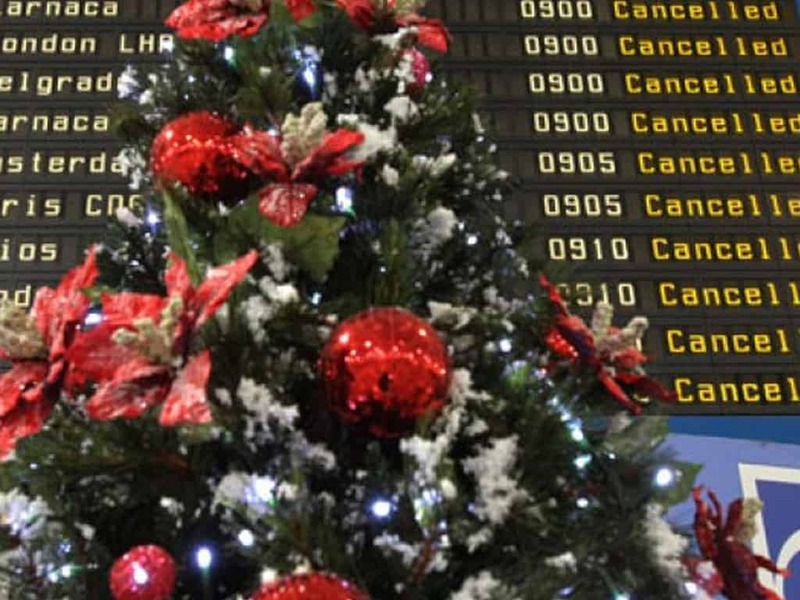 If your flight is cancelled then you will be entitled to an alternative or a full refund, the same rights will apply if you’ve booked a package holiday. Also if your flight is within the EU or in the rest of world with an EU based airline and you are returning home, then the airline will be obliged to pay at a reasonable level, for your accommodation and food and refreshments until they can get you back home. Reasonable means they don’t have to put you up in a 5-star hotel and feed you in Michelin starred restaurants. Sometimes they will ask you to make your own arrangements so keep receipts so that you can claim once you get home. So what’s my general advice? Keep an eye on the news, check with your transport provider about potential disruption, make alternative plans if needed and do this a few days in advance.